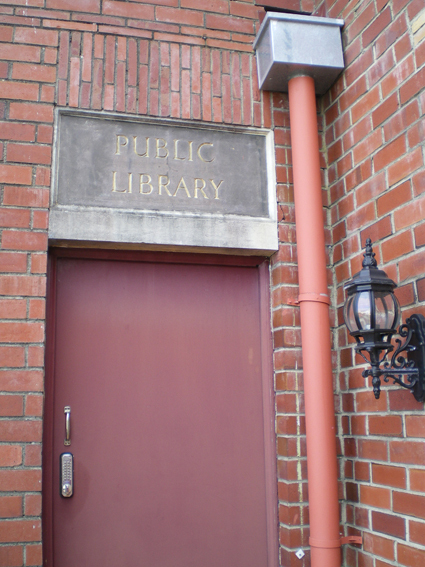 One woman visits her town’s 55 public libraries, and gets to know the neighbourhood. of water is the North Shore sewage ponds. On her way to the north of the north, a South Island friend of mine once drove through what she remembers as “a small settlement some significant time out of Auckland”. Since that trip three decades ago, the settlement — Albany — has spread south and east to join Auckland itself. My friend, Alison, has migrated north to settle in the city and now spends her weekdays in a boxy building that’s part of an Albany office park. Albany blandness: an industrial area. Aucklander Gabriel White’s film about Albany screened at this year’s New Zealand International Film Festival. Oracle Drive shows the area’s “guarded blandness” and “the well-mown desolation of the light-industrial urban fringe”, says the festival programme, but also its “beauty and eerie immanence”. The film’s narrator raises the question of whether the local streets live up to their names, some of which carry classical connotations or are more famously attached to locations overseas. Nile Road for instance is “long and meandering”, he muses, but “there’s nothing especially Egyptian about it”. Nobody appears to live in White’s Albany, though numerous cars circle its roundabouts. The developer must have run out of birds, or perhaps I reached the next subdivision, because suddenly I was sailing through the Caribbean — Barbados Drive, St Lucia Place, Calypso Way — and then, disconcertingly, streets such as Capri Place, Devonshire Road. Some new suburbs in Albany have pre-existing local names, such as Schnapper Rock (a fishing spot that gave its name to a gum diggers’ camp, a road and a cemetery before accommodating row upon row of the living). 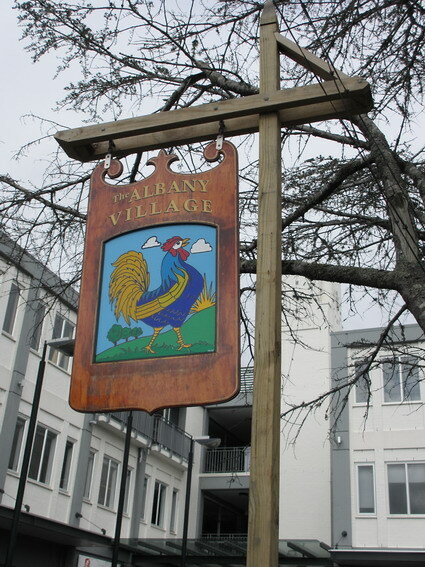 Historically, though, the heart of the area is Albany Village. This isn’t the quaint haven that the word “village” suggests, but there’s a square, and on a small green island between two major highways, the coronation hall (1911) and memorial library (1922) still stand. Albany beauty: The memorial library. The library commemorates the 23 local men who died in the First World War. 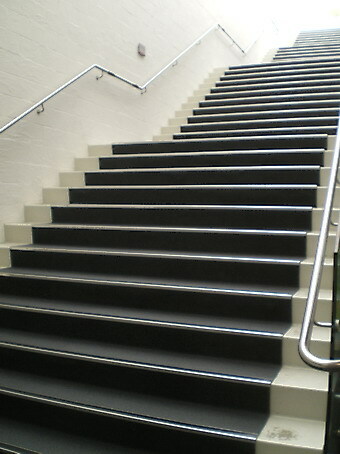 When it was built, the Auckland Star described it favourably as “Albany’s New Cultural Centre”. In fact it’s so tiny — just one room — that it looks like a children’s playhouse (the Star also said it was “Small but Powerful”). Seventy years after its initial and rather grand opening by the Governor-General Lord Jellicoe, it was still open for customers every Thursday morning, thanks to local senior citizen June Chitty. Few of the books left the premises, June told me in an interview for the North Shore Times. 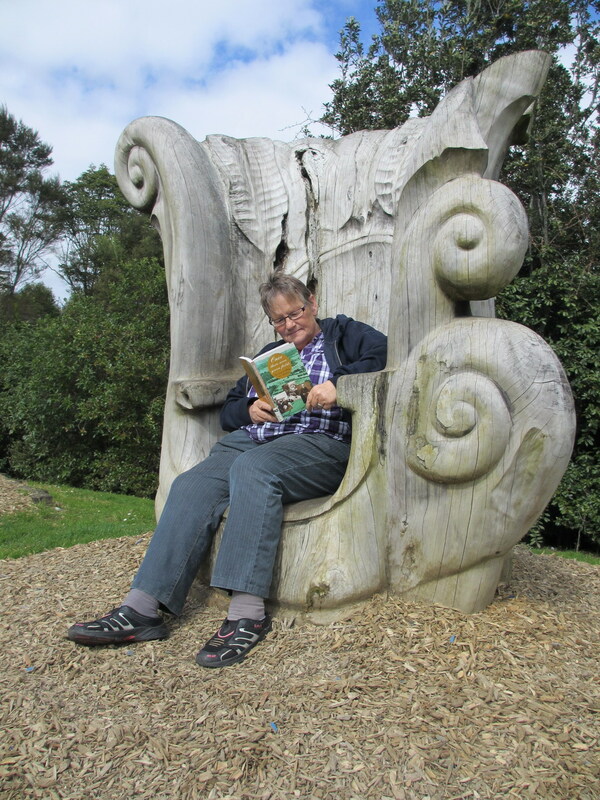 She recalled some titles from her childhood; newer volumes were throw-outs from Takapuna Public Library. “She would be glad to receive more recent publications”, I noted at the time, “and also see Albany gain a well-equipped, larger library”. My Mrs Chitty exclusive appeared in the paper in May 1992. The same month, I broke the news that Albany would soon receive its first set of traffic lights — a small but significant marker of urbanisation in a one-time rural idyll. The floor-to-ceiling windows there must be buggers to clean but thanks to them, the present Albany Public Library shows off the vibrant colours inside. It’s inviting — whether you’ve come via the green strip that is Kell Park, or the rather grey village square. Looking straight through the library door to the shelves behind the counter, you’ll see numerous knick-knacks in the shape of chickens. These and various images around the village are reminders of the feral flock (mainly roosters) that roamed Albany Village for decades, becoming its emblem as well as its main claim to fame. In 2008, the North Shore City Council sought their removal. Amid opposition from the local business association but with support from animal welfare groups, some of the wanderers were “rehomed” and others that had evaded capture were shot by council officers. The library had its own role in these events, I’ve heard, when a distressed member of the public ran in clutching a fugitive fowl that she’d rescued from the line of fire. 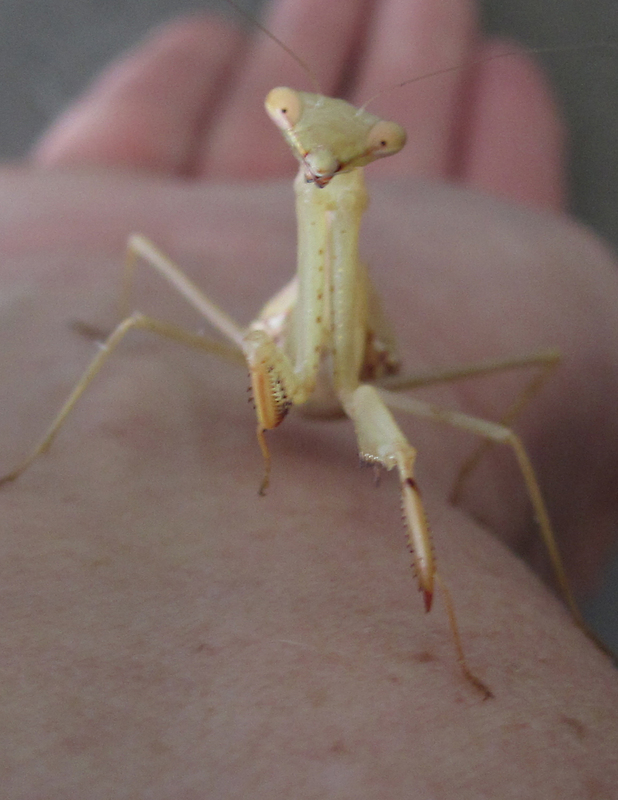 It was given sanctuary in a back room until the fuss died down. Dawn Evans, who grew up in Albany, speculates that the wildfowl were descendants of the chickens her family raised across the road from present-day Kell Park: “ours used to roost in trees as well as using their chook house”. Her personal account of Albany’s 1940s and ’50s restores — to mind at least — the settlement that disappeared beneath the bulldozers, the diggers, the suburbs and the office parks. It’s heartening, perhaps, that the Auckland Libraries’ sole copy of her book, My Roots, My Place, My Albany, is constantly out on loan, and that the library has now ordered plenty more. 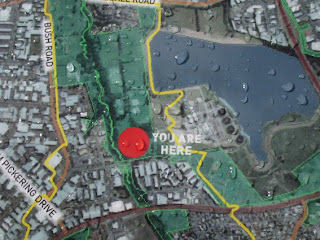 It seems to me that a private initiative such as Dawn’s evokes the past and pays tribute to it more effectively than a public construction such as Albany Lakes, said by the local board plan to “tell how Albany has developed from a quiet rural orchard area to a bustling centre of Auckland”. Over these stormwater ponds looms what is sometimes claimed to be New Zealand’s largest shopping centre (one of several thus described). The mall was full of people the day I called in, but the lakes were deserted save for a romantic couple huddled out of the wind. such as Clemow and Pannill. The last orchard was Clemows’ in Rosedale Road. It closed in the 1990s, but some of the old apple trees remain in a public park at the back of “Clemows Orchard”, as the subdivision is named. The fruit-growing fame of Albany lives on, too, in Albany Surprise and Albany Beauty. The first is a grape that local orchardist George Pannill propagated from a sport (mutation) of the American grape Isabella, as the nineteenth century drew to a close. It became, for a time, the most widely grown table grape in New Zealand. The second is an apple variety that another early grower of the area, Mark Phillips, propagated after finding an unusually coloured Gravenstein. One (probably erroneous) theory about the name of Albany itself is that it was inspired by a town in a fruit-growing region of Australia. The European settlers had earlier called our Albany “Lucas Creek”, after the waterway that was the main supply route for about 70 years.The creek in turn had taken its name from one Daniel Lucas or Clucas, who had started a flax mill nearby before disappearing from the local story. Residents pressed for the name change. The New Zealand Herald reported in 1890 that this was because “the old name represented the good old days when settlers were few and bushmen plentiful” — a euphemistic way, perhaps, of saying that “Lucas Creek” had unsavoury connotations, being associated with drunkenness, illegal stills and the smuggling of liquor (which made headlines from 1865, if not before). If you want to literally unearth the past and to do it in a skilled manner, you need to be an archaeologist. If you want to get an accurate and detailed picture, you need to be an experienced historian with utter dedication, like Timespanner blogger Lisa Truttman. But simply to discover that a place has layer after layer of history, you need only to be interested and to take time — to look, to read and to experience. The library will help. Even over the narrow span of 150 years, much has happened on this small portion of the North Shore. More than one old Albany has been replaced, and more than one is remembered and recorded. Uncle Delicious East European Delicatessen. My own memory, focusing on the 1970s–90s, includes visits to the Albany Village Pottery, home to many great movers and shapers of clay. The business at 239 State Highway 17 still claims to be (like the potters’ co-op) a “known and trusted North Shore icon”. Recently, though, I discovered that it’s now the Wine Box Café — and has been for some years. Platt’s Native Plant Nursery, near the Greenhithe turnoff, is long gone, but Graeme Platt’s trees still grow in my garden and many others. And the long slog just past the village, the Albany hill, was an unforgettable feature of the main route north. Now it’s just part of the road to Dairy Flat. There are, too, the versions of Albany that are older than any of us: those of the gumdiggers, the sly-groggers,* the flax miller; of the earlier Maori who first forded the creek and perhaps left the patu that, many years on, Dawn would find nearby when her father was building a road. * The word ‘sly-grogger’ is a New Zealand and Australian word for someone who deals illicitly in alcoholic liquor. 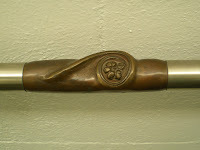 A patu is a short club; a weapon made of stone, bone or wood. Dawn Evans sells copies of My Roots, My Place, My Albany as well as another small book she has written and illustrated, Heavenly Valley, on losing a loved pet. Contact her at rondawnnz [at gmail.com]. Other books consulted for this blog post were Once There Were Green Fields: The Story of Albany, New Zealand, by Alison Harris and Robert Stevenson (the book being read in the photo at left) and The North Shore: An Illustrated History, by David Verran. 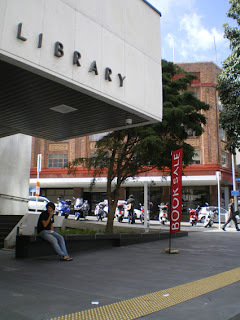 Auckland Libraries’ Local History Online newspaper collections were invaluable for indicating dates of local events. National Libraries’ Papers Past was another excellent resource, and aerial shots of a former Albany can be seen at the National Libraries’ Timeframes site. For other sources, click on the hyperlinks in the text above. A Library in Every Pocket? 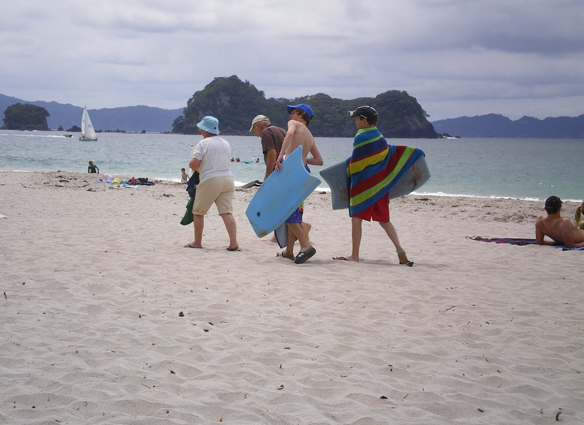 probably Aucklanders, on a Coromandel beach. Have library card, will travel. That was my feeling about Auckland public library membership, even before the local government amalgamation that gave us “1 city. 55 libraries” on 1 November 2010. Close cooperation between the region’s public library systems, starting years earlier, meant that members of one already enjoyed access to the benefits of all, at least when it came to online subscriptions. 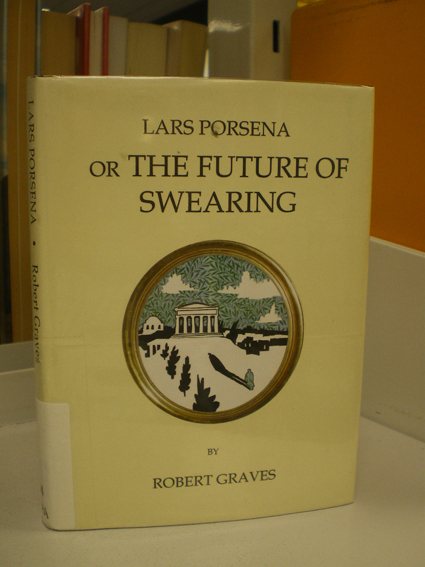 Thus from the first decade of the twenty-first century I used the digital library. It was an amazing experience to be at home, at work, in another town, or even overseas, and still to be able to enter the world of knowledge that came with being a member of the Auckland Public Library. Most valuable to me was Oxford Reference Online (ORO), a library in its own right, and one that I could search in a couple of clicks. The access to this Oxford University Press resource prompted me to take my library card everywhere, just in case there was something I needed to know and an internet connection was available. The ensuing message quoted three of the online titles — The Oxford Dictionary of Idioms, A Dictionary of Phrase and Fable, and An A–Z of Food and Drink — on the origins of that spicy condiment (mustard, not love) and various expressions relating to it. 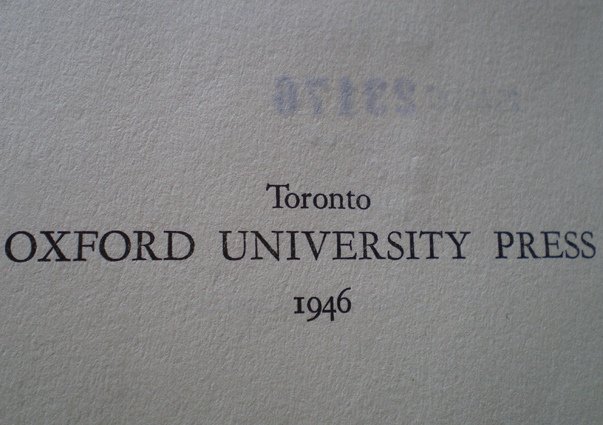 I was, quite probably, an Oxford bore. Are these the keys to the Information Kingdom? In preparing posts for my Egg Venturous blog and this Latitude of Libraries blog, I’d rate consulting ORO as a favourite activity. I’ve also found opportunities to search there while immersed in other projects: among my papers, I recently rediscovered something I’d printed out an aeon ago from The Oxford Companion to Cosmology, to aid a poetic quest relating to black holes. As an editor and proofreader, too, I’ve found ORO invaluable. If I need to query something with an author, that particular publisher carries more weight than Google or Wikipedia — even than Encyclopaedia Britannica. 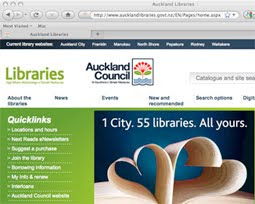 My Auckland Libraries membership offers me free use of the latter, and I refer to it now and then, but ORO used to be open on my internet browser at all times and I consulted it daily. 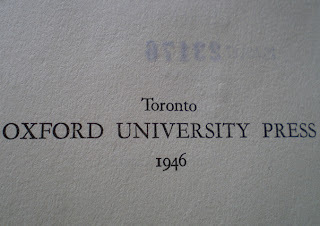 I talk of ORO in the past tense because, although the university press continues, as does the online presence, our connection has been severed: Auckland Libraries has cancelled its subscription (though online subscriptions to two stand-alone Oxford publications remain; see the end of this post). One morning early in April I logged on to find that... I couldn’t. 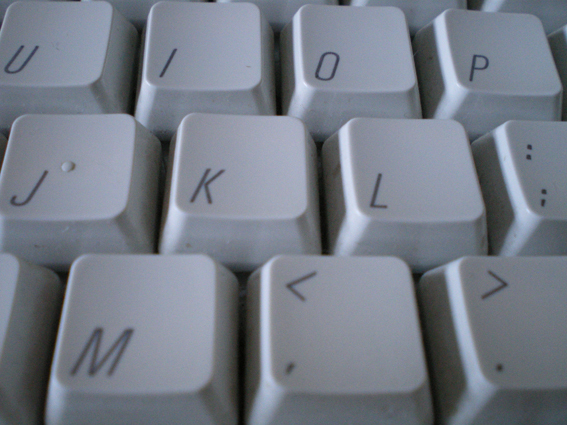 I emailed my library — “Help, help!” I implored — but to no avail. which does still have a public library. The reduction mentioned then was one per cent, but the figures since seem to have been larger; nothing like the cuts that have closed public libraries all over the United Kingdom, but large enough to affect services. 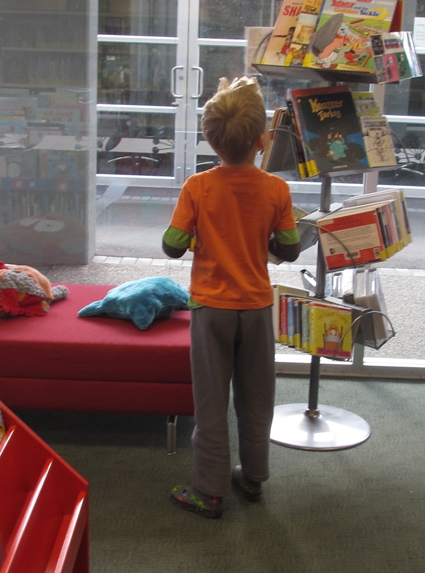 After budget cuts were announced, Auckland Libraries made a fair bit of noise, in a discreet and strategic manner, about how they might have to reduce services. The Grey Lynn and Snells Beach libraries might have to close, they said, though Mayor Len Brown put the kibosh on that. More recently Freegal, the free music-download service that the libraries promoted heavily following its arrival early in 2012, was mentioned as a possible sacrifice. But despite the posturing above, and when push comes to shove, library managers will understandably seek to save money where it will be least noticed. That is probably among certain electronic resources of whose existence library members are largely ignorant, and which they therefore do not use very much, if at all. Oxford Reference Online is probably an example of this. It is only by accident and extreme curiosity that I found, some years ago, that I could slip through some fur coats, out the back of a wardrobe, and into Oxford, equipped only with my library card. I went there ever after. Googling was mundane and limited by comparison. 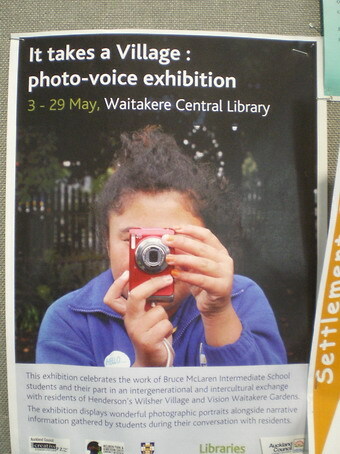 Exhibition window, National Library, Wellington. Few others may feel like this about something that is just, when you boil it down, a database. All the same, I would like to have seen the libraries promote ORO as a resource before they decided to get rid of it. Perhaps its usage figures would have gone up, prompting them to keep it. That’s not to say that the contents of a library catalogue should depend on a popularity contest. My understanding is that on principle, librarians collect and supply diverse information from diverse viewpoints; that it is against some primary law of librarianship for them to show fear or favour. So even if ORO isn’t the most used resource, that alone shouldn’t exclude it. 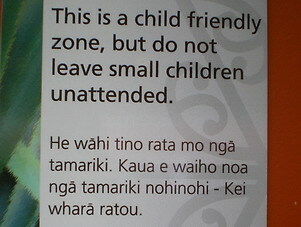 Helpful sign, Takapuna Public Library. The category of information expertise that the Oxford collection inhabits — “reference” — has suffered in the last decade or so, because so many people think that Google answers everything. It doesn’t. Questions always remain. One valid question might be, how are we to know that the answers — or even our questions — are right? I’m an information snob, I suppose. Google, Wikipedia et al are sometimes perfectly capable of giving me what I’m looking for, but on occasion perhaps I crave the gravitas that Oxford invokes; its hallowed halls, its centuries of scholarship, its air of superiority and the stamp of approval that comes when I bandy that particular brand-name about. Perhaps this snootiness is a colonial cringe and a misguided Anglophilia, too: preference for an apparently British source over American ones. At the same time, I’m the opposite of a snob: I want everyone to say, like the unnamed character in When Harry Met Sally (1989; see video clip below), “I’ll have what she’s having” — and, what’s more, to get it. 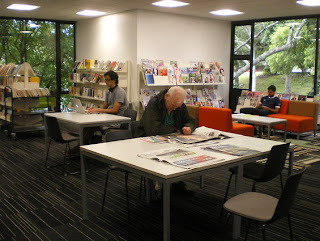 Auckland Libraries’ subscription to the online Oxford University Press resources seemed to me a very modern expression of a traditional idea: that a public library should be “the people’s university”, unlocking more of the world of knowledge for all. So it’s not entirely self-interest that leads me to ask if we can please have ORO back. 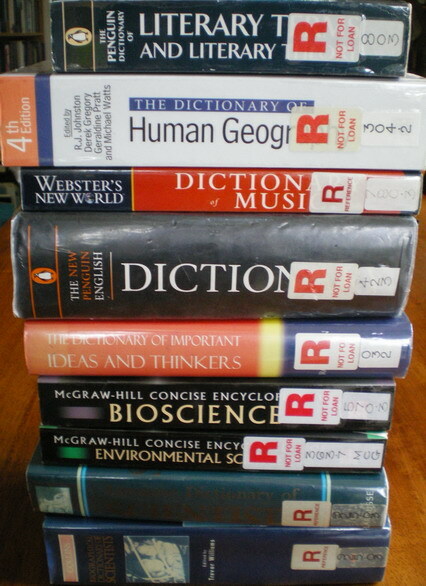 Nor am I entirely a free-loader: as a freelance editor, I have invested at least $1000 in my own reference library. But without electronic access to Oxford, I feel like a freelance whose lance has been confiscated. 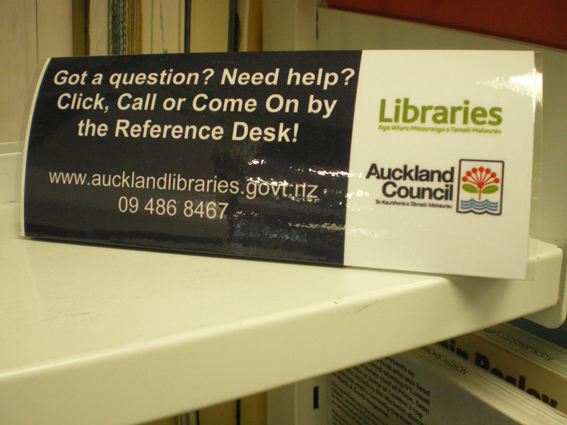 The Auckland Libraries subscription to ORO gave remote access to more than 300 reference books. Any member of the public can enter a direct relationship with Oxford University Press and subscribe independently to about a third of these, the Quick Reference set, for £80 a year. The rest of Auckland’s Oxford online list featured more indepth “companions” and some other titles of general interest (including The New Zealand Oxford Dictionary, the full-length Oxford Dictionary of Quotations). These belong to a second group of online tools available only to subscribing institutions and their members: individuals cannot buy these subscriptions from Oxford, and in some cases the print editions of these books are not currently for sale. 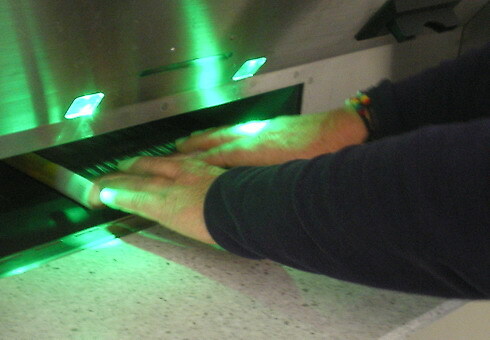 The number of hard copies in public libraries is limited. 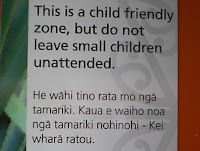 On its e-library “News and Updates” page, Auckland Libraries suggests several alternatives to ORO. Among them are databases of numerous journals and periodicals, an index to New Zealand magazine articles, and the open-access Te Ara Encyclopedia of New Zealand. In my view, none is like ORO. Encyclopaedia Britannica, listed there too, is the closest — but it’s a single publication, while within the Oxford collection I could compare information on one topic from numerous and diverse books. I think Oxford offers more depth and authority, as well as diversity. 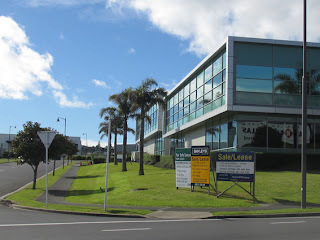 The Gale Virtual Reference Library, to which Auckland Libraries also subscribes, might be regarded as another alternative to Oxford, though the libraries’ list doesn’t mention it. Gale, too, seems to cover subjects in less depth. Out of interest, and because I recently posted on the topic at Egg Venturous, last week I compared Britannica’s and Gale’s entries on mantids (praying mantises) with the ORO source I had consulted about these fascinating insects. Britannica’s amounted to one A4 page and Gale’s to three. The Oxford information, gathered earlier from The New Encyclopedia of Insects and Their Allies, was four pages. “More” does not always mean “better”, but it did in this case. The local body amalgamation of 2010 made library “rationalising” inevitable. But when it came to the libraries’ holdings I would have expected cuts to journals and periodicals rather than a collection like Oxford, because the libraries’ relationships with several large suppliers at once may have resulted in overlapping journal and periodical subscriptions. I don’t know the ins and outs of supplier relationships, or plans for other subscriptions. 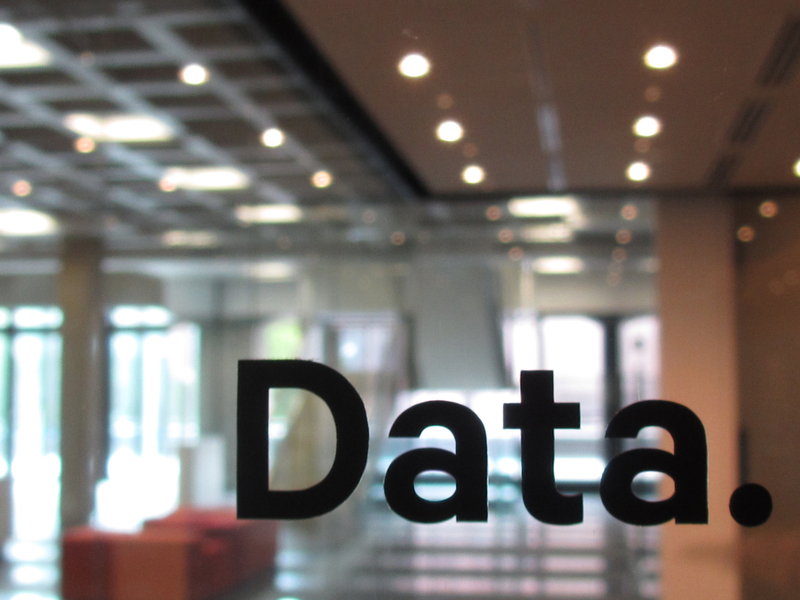 A few other e-resource cuts were announced in November, and recently the libraries announced that they would not renew a subscription that ran out on June 30. Maybe there will be more. In December, Auckland Libraries reported on its directions for the next 10 years. Oxford Reference Online seems an excellent fit with two of the ‘Te Kauroa — Future Directions’ report’s six focus areas. The first of these, “the digital library”, aims to have “your library available anywhere, anytime”. The media release about the report took this angle in its heading, “Auckland prepares for ‘a library in every pocket’”. It was a nod to mobile devices such as smart-phones and tablets. Library during a book sale. The last focus area in the report, “collections”, notes intentions to “safeguard open access to a broad and deep range of library materials... grow the range and ease of use of digital content”, adding that “more of our spending on library resources will move to purchasing access to online subscriptions and databases, e-books, and access to streaming media sources and downloadable content.” ORO comes to mind there as well. The ORO subscription would also tie in with focus area 3, library spaces, where one priority is to “investigate and develop alternative delivery options for those who face access barriers to a physical library, e.g. rural Aucklanders or homebound”. 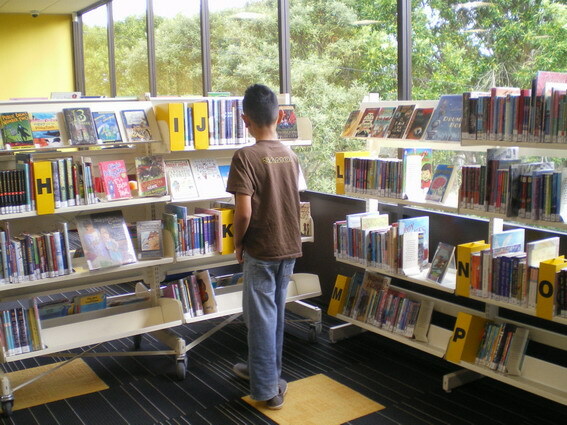 The report talks of delivering a “world-class” library to Aucklanders: it uses those words eight times. I can’t help feeling that we already had a world-class library, but that a budget cut has slightly reduced its value. With the connection to Oxford Reference Online severed, my library card doesn’t seem to take me quite so far any more. The public library also still offers full access to The Oxford Dictionary of National Biography, which concludes many (if not all) entries with a summary of the subject’s liquidity — financial — at the time of death. A quick check of several other cities’ public library holdings showed me that the Wellington and Christchurch libraries currently offer Oxford Reference Online to their members, as do Melbourne and Darwin in Australia. The full lists of ORO titles are here. Institutions can select any number of online publications from the Oxford Reference Library list. A poster at Henderson’s public library. It’s surely a mark of an interested, active community that its public library noticeboard is up to date and announces a wealth of associations and events. Here in Henderson, West Auckland, these range from the woodturners guild and the Scottish country dance club (no partner needed) to job-search meetings in the library and the settlement support group for new migrants. Heavens above: there’s even an invitation to “read the Bible before you die”, more moderate than that quote suggests. With its black Courier typeface and plain white paper, it’s also more modest than the other shinier, more colourful, signs of things to come. And though it speaks of things eternal, by my second visit it’s no longer there. AUTOMATED EXTERNAL DEFIBRILLATOR ON SITE. 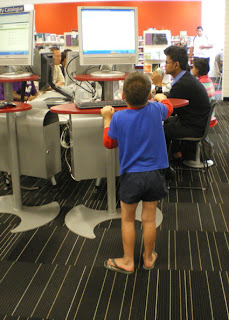 The circulation desk at Waitakere Central Library. initial questions or requests for help. The entrance area is very neat, with a long, wide passage alongside the circulation desk to the books and other facilities beyond. 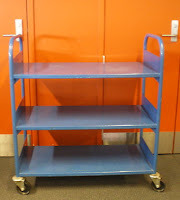 It’s tempting to imagine the library staff rushing me along on a book trolley to whatever assistance I urgently require. 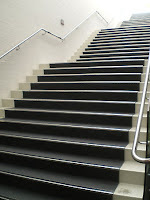 I’m going to level 2, to the West Auckland Research Centre, whose J. T. Diamond Reading Room has a small exhibition space at one end. A friend and I plan to hear Karekare resident Ted Scott, in an Auckland Photography Festival event. He’s well known for his landscape photos, and I never get tired of giving a couple of his greeting cards. One has an unfurling fern frond in the shape of a koru; the other a punga tree-fern viewed from below, its branches like the spokes of a wheel or the ribs of some organic umbrella, reaching for the sky. 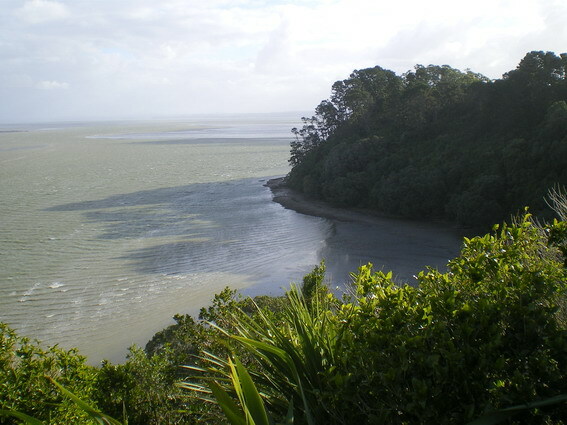 Many of Ted’s local photos feature in long-time Waitakere Mayor Bob Harvey’s Untamed Coast: Auckland’s Waitakere Ranges and West Coast Beaches. His show at the library, however, seems to be from another planet, one that’s black and white and innumerable shades of grey. That planet is 1960s London, where the photographer grew up and where he served his time as an apprentice in the now-vanished photo-litho industry. The London that he caught on film has vanished too: it was populated by Footplate Fred, whose job would end when diesel overtook the steam trains; by children playing on Blitz bombsites that would soon make way for tower blocks; and, in Petticoat Lane, by a little old lady who was an unlikely-looking messenger of Oswald Mosley’s Blackshirts. The Apprentice, Ted Scott’s show (to June 30), offers an interesting lesson about documenting the ordinary life that’s right in front of us. Soon enough, people will find it extraordinary. Of course, you have to have an eye for it, and he clearly does. Back then, he was a teenager using his first camera. Films were expensive, so he’d buy one with just 12 exposures, and try to make every shot count. Occasionally something in his carefully arranged composition would (f)alter just as his finger pressed the shutter: that’s life, isn’t it? Some of the resulting photos he thought were flawed, but on reviewing them very recently he concluded that they had a certain something. So half a century on, these striking images are on display. Today another camera operator, research centre team leader Robyn Mason, will record Ted’s talk for posterity. And the reading room that we’ve come to is named after someone else who documented things: Jack Diamond was a self-taught historian of west Auckland who spent decades recording the present before it passed, the past before it sank into oblivion. After he died in 2001, his 30 linear metres of photos, books and manuscripts were donated to the library. When my friend and I arrive, the room is full of schoolchildren. Their teacher and the librarian are ending a practical lesson on research and there’s a light hum of conversation, punctuated by packing up, as everyone gets ready to go. Perhaps some of the students will later contribute essays to the J. T. Diamond Essay Competition, which encourages west Auckland historical research and the writing down of memories. I hope so; I hope that in the new and larger Auckland this initiative, hitherto a joint project of Waitakere Libraries and the West Auckland Historical Society, will continue. 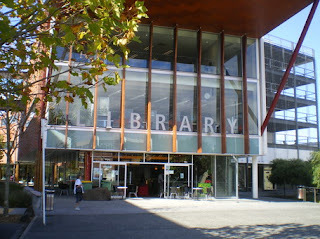 The front of the library, with a cafe on the ground floor. by industrious west Aucklanders of the past. 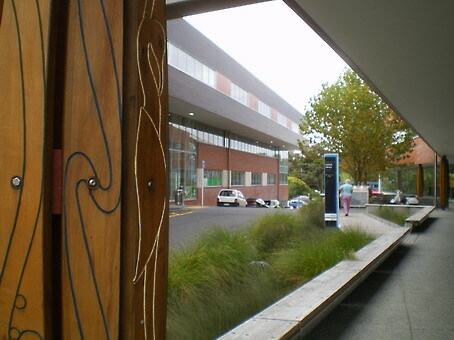 Waitakere Central Library, which opened in 2006, is seven times the size of its predecessor, and clearly intended as a “city library”. If the spacious circulation area doesn’t convince you, the mayoral portraits will. Six suited men, two of them robed, are resplendent in gold chains, facing anyone who approaches the fiction department. They give no hint that their days are numbered. What goes, and what stays, when cities amalgamate? Some of the change is easily identified and quantified; some isn’t. This library gives the sense that we’re in Waitakere — surely something there’s no need to shake off. Still, there may be more appropriate candidates for pride of place on that otherwise blank wall: the Waitakere Arts Laureates, for instance, whose black and white portraits by Catherine Davidson are harder to find. They’re deeper in the library; I’d suggest their subjects also draw more deeply from the well of ideas. That’s yet to happen. Although the post-amalgamation council’s Auckland Plan makes mention of the possibility, it makes no provision for it in years to come. 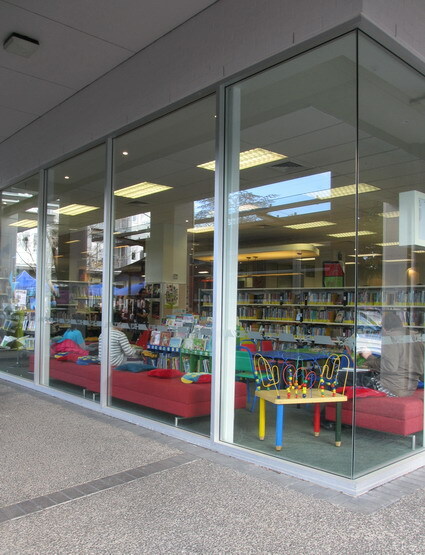 Giving the existing laureates pride of place in the Waitakere Central Library would be one way to remind people of what the west can offer the wider Auckland. labels to check books in. It’s an interesting library, Waitakere Central, the first in New Zealand to be a joint venture between an educational institution and local government. The union is not especially obvious until you reach the second level where the non-fiction books of the two institutions are interfiled, Unitec’s readily identifiable by the logo on their spines. Public library members can use these in the library and photocopy a few pages to take away if they want. Originally Unitec students could issue and return their books on the ground floor, but that’s now changed. 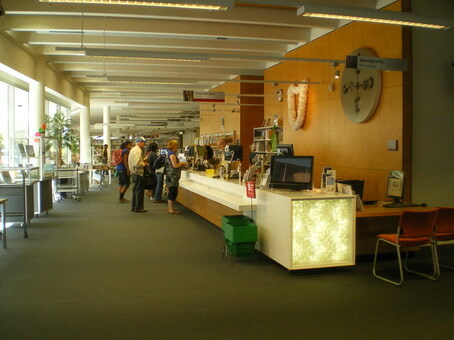 The polytechnic and public library initially shared the ground-floor learning centre, too. 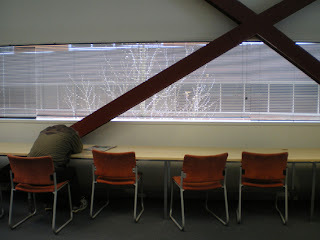 When I visited in April it looked like a school computer room, though largely without a class: Unitec seemed by this time to have concentrated its computing resources for students elsewhere — perhaps in its campus building next door, though there’s also an extensive Unitec space on the third level of the library. When I went back a month later, after the library had closed a few days for renovations, the rows of desks in the learning centre had gone. Instead there was a more convivial arrangement with space to sprawl — more public library lounge than cramming chamber. As a staff member told me, it’s now a lot easier for people with prams or other equipment to move around. 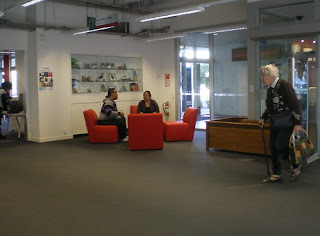 An informal seating area just inside the library. - all the ground floor bookshelves are now less tall than previously. The latter I’d noticed in the children’s section, where shelves are even lower than the rows of fiction that precede them. This means barriers have been replaced with space, light and a clear line of sight, giving a sense of accessibility but also security, backing up the nearby notices promoting the care of children and prevention of bullying. in a number of public libraries. The children’s librarian, absent on my previous visit, was proactive about inviting new arrivals in this part of the building to ask her for any help they wanted. There’s an art to this, as I know from my earlier career in bookselling. For retailers the desired result of such a “greeting” is a personal connection between staff member and customer, rendering products and services more accessible but at the same time boosting security. One challenge for the worker, especially in a library or bookshop, is to get the timing right: don’t interrupt a browser’s reverie or they may up sticks and leave, suffering from an acute case of the Shoulds (“I should be doing x, y, z...”). A degree of breeziness is called for, and it’s important not to seem pushy. enjoyed by children and adults alike. 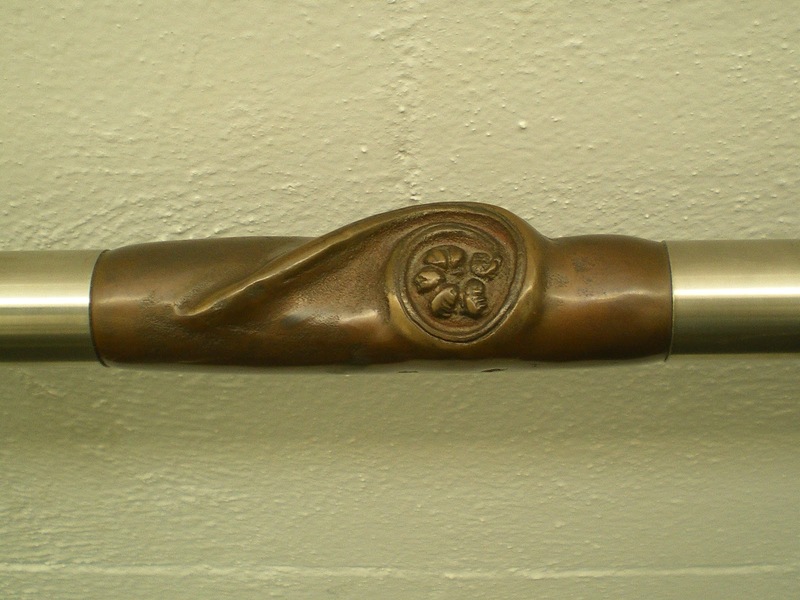 handrail is by Mathew von Sturmer. created the hinaki pictured above. 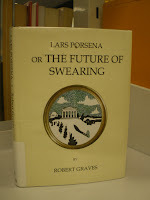 The librarian I saw had mastered this art. And when she wasn’t overtly helping people, she was around; at one point she was cleaning a window. I’m not about to suggest that library staff should be expected to clean up after us, but it goes to show — as does the activity I encountered in the research centre — that there’s much more to working in a library than simply loving books. Ahem. It may have been obvious to anyone visiting this latitude lately on the world wide web: things have been a bit quiet around here. I had a bright idea for another blog and thought I could manage both at once. However, that has proven difficult. Our libraries, of course, haven’t slept. They’ve kept working really hard to serve their very diverse communities and no doubt will continue to do so, despite a one percent funding cut recently announced in the Auckland Council budget — though where they will find the “efficiencies” mentioned in the last (and usually least important) sentence of the Herald’s news story, I dread to think. When I look at libraries I see pretty lean operations whose people are practised at stitches in time and saving nine, seeing pins and picking them up, taking care of the pennies, cutting their coats according to their cloth, and (not least) wasting not. Anyway, despite my silence I’ve kept visiting Auckland public libraries, ordering books, using the digital library databases. I just haven’t posted about them. And despite my not having posted about them, this blog keeps getting hits: 52 of them on May 24, for heaven’s sake, when I hadn’t posted since March! As The Oxford Dictionary of Proverbs says, while there’s life, there’s hope. * The blogger’s block is about to change. 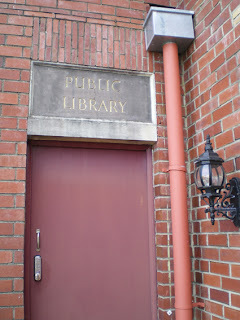 A new post is almost ready to go up here at A Latitude of Libraries. Watch this space. *This dictionary also says all those other proverbial things I’ve paraphrased in paragraph two. It is available on the web through your Auckland Libraries membership — even when you’re not at the library — at Oxford Reference Online. 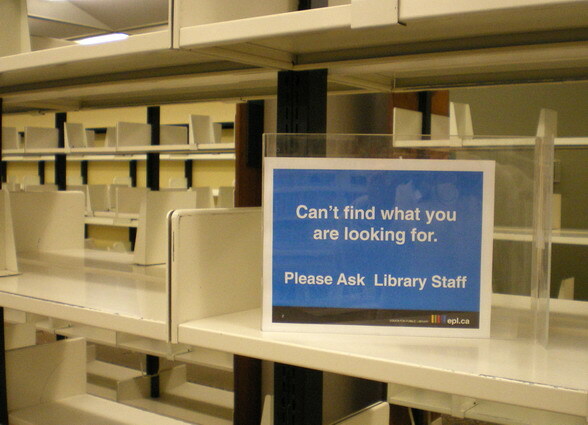 NB The unhelpful library sign pictured above amid empty shelves, inviting library users to approach staff who in fact were not in the vicinity, was not in Auckland. It wasn’t even in New Zealand. It was in a library I visited last year, somewhere else altogether. That facility was undergoing some changes at the time, and apparently it’s now quite different. The Waikowhai bus is part of the fabric of Auckland, and those who rode it together as adolescents include Mark Greatbatch (cricketer), Russell Crowe (gladiator) and Simon Prast (Gloss-ster and theatrical type). But even though I’ve seen many buses bound for Waikowhai during my lifetime, until a few weeks ago I hadn’t a clue where it was. The name is Wai meaning water, Kowhai as in the yellow-flowering tree. It’s long been said WHY-car-whyyy in our drawn-out New Zealand English, so when I heard it pronounced in the Maori way, I didn’t link it with the Waikowhai bus — or yet know where it was. 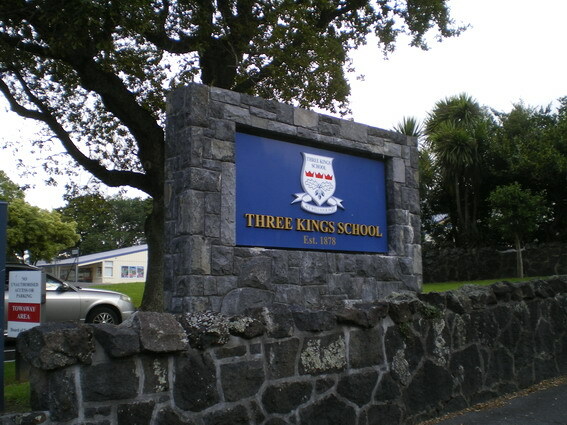 Why-CORE-fi, said my physio, a Pakeha enunciating the Maori simply, beautifully, unselfconsciously: My husband is the principal at Waikowhai Intermediate. The renovated Mount Roskill Public Library boasts a new kowhai-flower motif and shiny green paint. 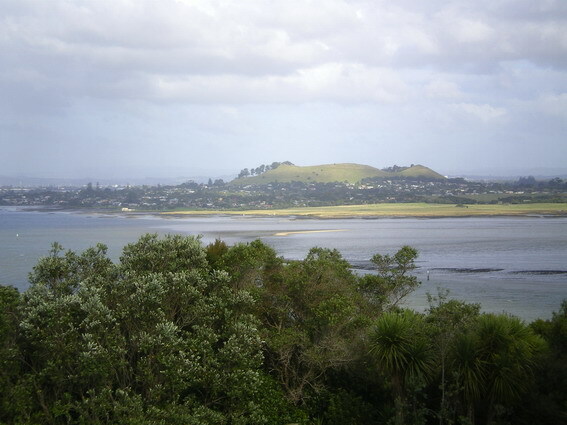 Both are superficial and easy to slap on, but when I heard that they symbolised the nearby green belt extending to the Manukau Harbour, a light went on in my mind. Wai-kowhai: it’s the place of the green belt, the bus, and my physio’s husband’s school. The suburb that hangs out with Lynfield, Three Kings, Hillsborough, Mount Roskill and somewhere called Wesley. Together they constitute what I’ll call Greater Mount Roskill, a borough from 1940 to the first big Auckland amalgamation of 1989. 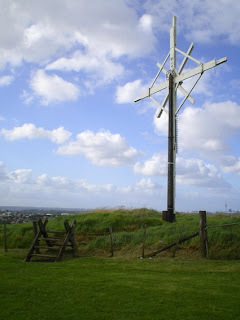 Keith Hay’s Mt Roskill erection. 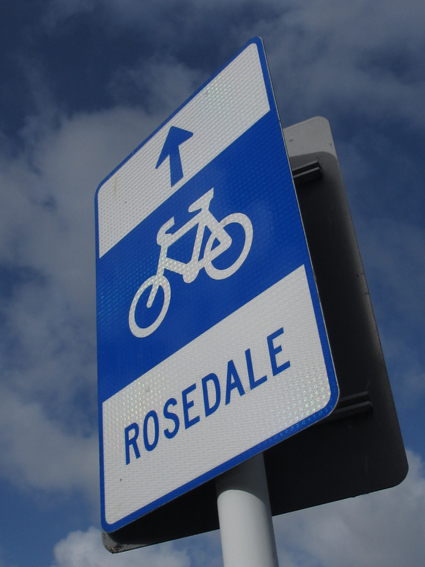 I prefer the flexible fit of a green belt to the restrictions and strictures of a bible belt, but it’s as the latter that Mount Roskill has been best known. The influence of local housing magnates Keith Hay (Keith Hay Homes) and Bill Subritzky (Universal Homes) may have had something to do with that. Subritzky, influential in church, business and local politics, gave a Bible to everyone who bought a Universal Home. In the borough’s penultimate year Mount Roskill had New Zealand’s highest number of churches per head. 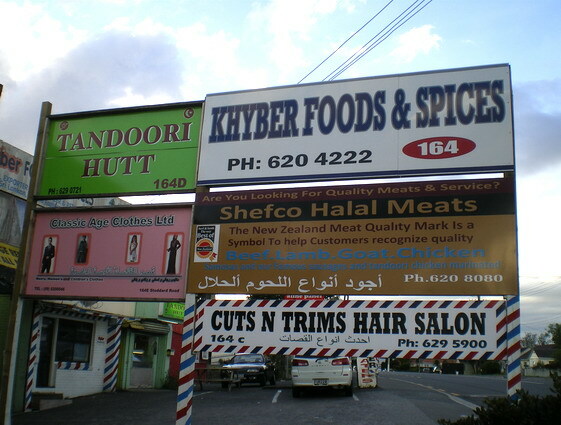 The demographics have changed over the years, and Mount Roskill is now home to people of diverse faiths, including many Muslims. But Hay’s cross still has its home on top of the extinct volcano. 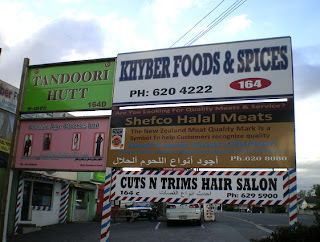 Multicultural Mt Roskill (Stoddard Road). The Auckland Council has adopted this landmark’s Maori name, Puketapapa, for the diverse area that the local community board covers. Perhaps “Puketapapa” will eventually become as well known as Maungawhau (Mt Eden), Maungakiekie (One Tree Hill) and Owairaka (Mt Albert). “Flat-topped hill”, its meaning in English, seems apt. The two shallow volcanic craters created thousands of years ago must have given the mound a flattish look, but since the early 1960s, when a water reservoir took the place of 25,000 cubic metres of scoria, it’s been flatter still. People find various ways to explain the most widely used name for the volcano, “Mount Roskill”. One appealing idea, if only because it loops neatly through the “bible belt” identity, is that it commemorates the peripatetic nineteenth-century evangelist John Roskill, who held services there and later committed suicide. Perhaps most appealing to those mischievously inclined is “Mount Rascal”, briefly bestowed in the 1840s. A variation of that gets an airing in Toa Fraser’s wonderful 2006 film set in the area, No 2.
built during the Depression of the 1930s. Commercial quarrying at Three Kings probably began in the 1910s and was quick to diminish the crowning glory of two — their cones. A local history, Not Just Passing Through, records that a local man was surprised one day in the 1920s “to see Mt Eden appear over the far side of what had previously been a vista of the Southern King”. Thus continued the destruction of what Volcanoes of Auckland describes as “probably the most complex” volcano in the 50-strong Auckland field. Lava from the Three Kings eruptions nearly 30,000 years ago had flowed several kilometres, as far as Western Springs, and created “some of Auckland’s most accessible lava caves”. These remain (albeit on private land): tours of one called Stewarts Cave are a fixture on the University of Auckland’s continuing education programme. As well as forming the dry-stone walls we’re accustomed to seeing around Three Kings, local scoria was once used less visibly in road-making. It was a key component of Winstone Aggregates’ “Roskill Stone”, a coloured building material, and is sold as a drainage material today. Winstone is still emptying the area, though the remaining cone is protected. at the Mt Roskill library. 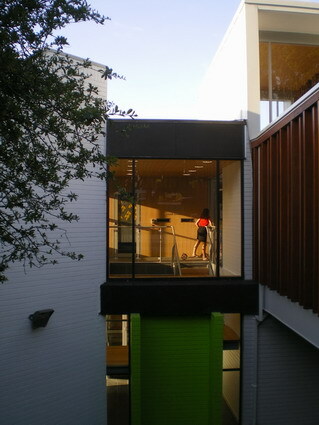 The library complex that so vividly portrays Mount Roskill’s green belt also addresses its volcanic heritage, in orange and brown (fortunately some distance from the green). I say “complex” because this council-run building on Mount Albert Road is a bit like the Three Kings volcano, though it does remain intact. It’s called the Fickling Centre, after another local mayor, and as well as the library it offers various community meeting rooms. My first encounter with the building was in a long-ago (and mercifully brief) incarnation as a recruit for Amway. Those who use it today range from music groups and service clubs to Secret Place Ministries, whose Pursuit Church pastors Ray and Pam encourage “intimate encounter with the Lord”, which “often includes times of ...soaking in His presence”. Perhaps worshippers leave their chastity belts and rings at the door? Anyway, the building has undergone a $2 million refurbishment. This was probably needed, given that it was once unkindly described as “an anonymous block in a darkened corner of the downscale shopping centre that passes for the heart of Mt Roskill” (Alistair Bone, New Zealand Listener). About 90 people gathered for the council’s reopening ceremony and to hear the ubiquitous speeches — quite difficult when the steel-clad air conditioning along the length of the room contributed its thunderous roar. From across the lane, Club Physical’s blaring fervour also made its presence felt, like a hyped and miked Christian revival meeting. We were in Noise City. 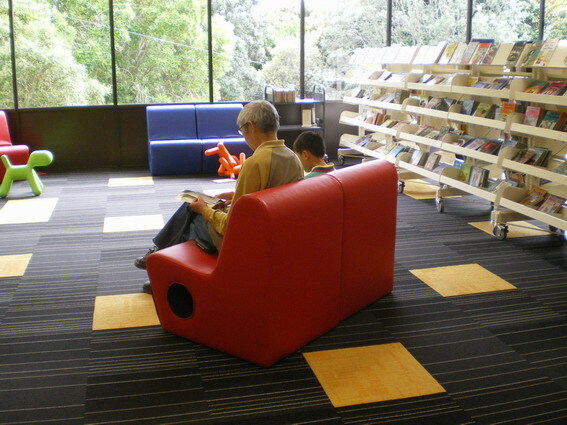 I did hear the big boss of Auckland Libraries, Allison Dobbie, say that the refurbished library offers “quiet zones, which have become so important” (alluding no doubt to a recent hullabaloo arising at the St Heliers branch). When she pointed out the symbolism in the design, she meant the colour scheme and kowhai and not the aircon, but it was easy to drift into a reverie about just what the latter might symbolise. Something — the Fickling Centre as a whole? — is “a flexible, win-win model for everyone”. Perhaps that comment related to the Citizens Advice Bureau’s new location within the library, which seems to make the CAB people very happy. Mangere Mountain from Waikowhai Park. I did arrive at Waikowhai, eventually, though I went by car rather than bus. 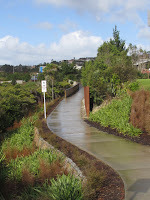 It’s one of Auckland’s hidden treasures, with extensive parkland going down to the sea. Where there are homes, you’d expect them to be mansions, given the million-dollar views. Most of them aren’t. The proximity of the rubbish tip and the Mangere sewage ponds put paid to that idea. The Waikowhai tip has disappeared now, there’s regenerating bush, and the sewage works have been replaced by a leaner operation which, rather than being meaner, is much more environmentally kind. You can gather shellfish again from the local shores, though according to Not Just Passing Through, leachate from the old tip continues to pollute Faulkner Bay. Naturally, the area is rich. I look forward to learning more about the geology and the relatively recent fossils of Wesley Bay. And I want to know what’s so special about nearby Lynfield that Dr Willy Kuschel looked at beetles there for 15 years, producing a study that became world famous. create this open-plan public quiet zone in the library. 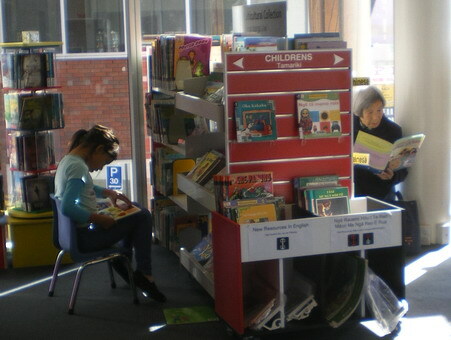 Within the old Auckland City’s 17-library system, Mount Roskill’s was the busiest branch — second only to the Central Library. In the 55-library system it still bustles more than many. The recent library refurbishment has added 120 square metres, community rooms and unofficial quiet zones. The colour scheme is lighter and brighter. Window views previously sealed off from the public are now accessible to all. 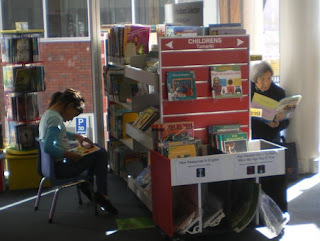 The Mount Roskill library previously underwent extension in 1995 and major renovation in 2002. Mt Roskill Public Library children’s section. The major source for this post was Jade Reidy’s Not Just Passing Through: The Making of Mt Roskill. A book by Bruce Hayward et al, Volcanoes of Auckland: The Essential Guide, also helped. ‘Heartlands’ by Philip Matthews (New Zealand Listener, Feb 11, 2006) reviews No 2 and reflects on Mount Roskill’s “ethnic-melting-pot quality”, something this post has failed to do. Tze Ming Mok’s prize-winning essay ‘Race You There’ (Landfall 208, Nov 2004) does this too, as a starting point for her wider reflections on multiculturalism. Historian Lisa Truttman’s recent Timespanner blog post ‘Wanderings at Three Kings’ offers observations on the Fickling Centre reopening, with photos, and other insights. 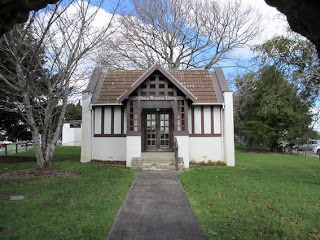 At least one other post discusses the new Mt Roskill Historical Society. Auckland (latitude 36° 51' south) is New Zealand’s largest city, home to 1.5 million people and, since November 2010, the largest public library network in the Southern Hemisphere. 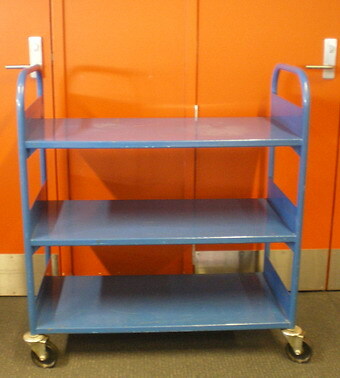 ¶ Author Lionel Shriver calls libraries “expressions of social generosity”. Public libraries collect and share ideas and information. A Latitude of Libraries aims to find out more about library places, people and communities. 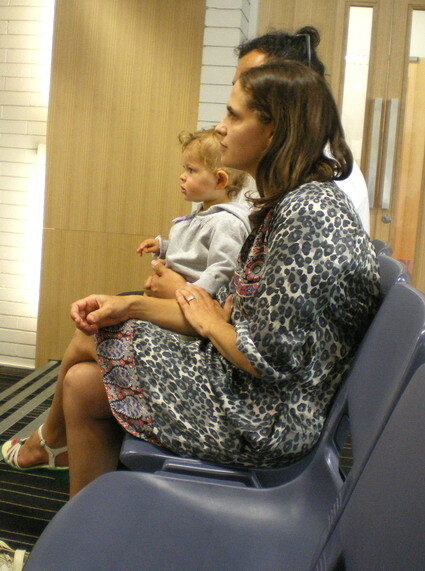 ¶ My name is Claire Gummer and I live in Auckland. I’m possibly a librarian manqué, certainly a longtime user of libraries. 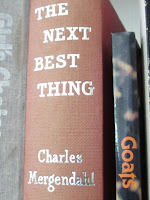 Most of my work has been in journalism, bookselling and book publishing. 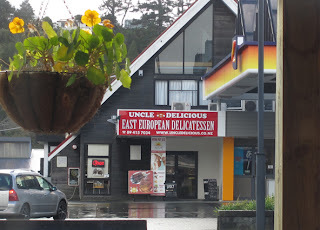 I also blog at Egg Venturous.